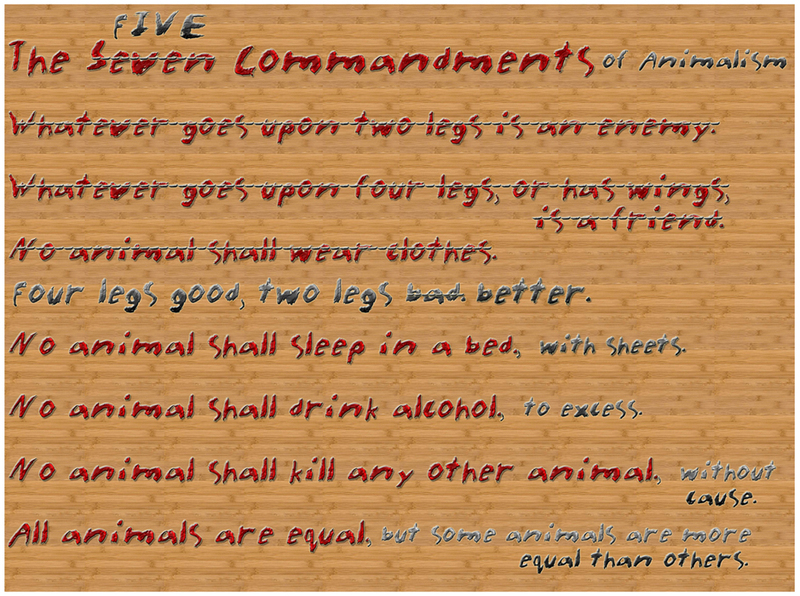 The Seven Commandments from George Orwells Animal Farm which was first published in 1945. Animal Farm is a satire on Stalinism and the Russian revolution. Here are the originals and what was written in later.